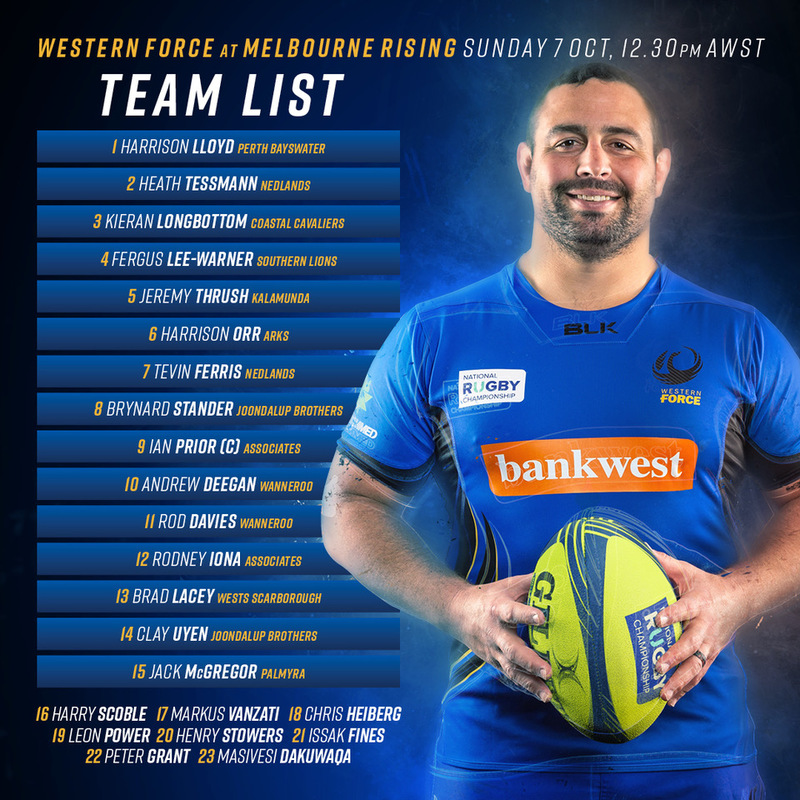 The Force have locked in their team to take on the Melbourne Rising with minimal changes to their line-up. Clay Uyen comes back on to the wing after missing much of this NRC season recovering from a hamstring injury. Fijian heavyweight Masivesi Dakuwaqa will move to start on the bench. After playing a strong game starting against the Sydney Rays last week, Brad Lacey has been called up to the starting 15 as outside centre. The forwards have remained unchanged after a blowout performance saw them scoring several tries and leading the Force to victory. Captain Ian Prior is looking forward to seeing how the young additions will impact the match. “It’s good to have a couple of young bucks coming into the side with Clay coming on the wing and Brad moving to 13,” Prior said. The Horan-Little Shield will also be going on tour after the Force won the last two of their home games with the Melbourne Rising being the first to get a chance to win it.